One of the biggest mistakes well intentioned youth sport coaches or trainers make is trying to train their young athletes by modeling what coaches of college or even professional athletes are doing. They turn each training session into a hard-driving or ‘endless repetitions of one exercise’ type affair. Not only is this not optimal when coaching those young athletes that are often middle school age, but it’s actually counterproductive and impeding their development. Mental – Young athletes are young CHILDREN. They do not posses the attention span to concentrate on one athletic skill for a prolonged period of time. Understanding this concept is paramount for coaches, trainers and parents – once a child becomes bored with a movement, they will become frustrated and careless. This will lead to poor execution and incorrect form. Emotional – Young athletes require constant POSITIVE and CONSTRUCTIVE feedback from there coaches. Pulling a ‘Lombardi’ and chastising young athletes for poor performance, bad behavior or incorrect exercise execution is not conducive to optimal development. If training feels like punishment, the young athlete will NOT thrive. Physical – All great players in any sport are great athletes first. You simply cannot become a world-class baseball player, for instance without acquiring superior ATHLETIC skill. By using the concept of ‘play’, you can turn your training sessions into fun, enjoyable experiences for your young athletes and also optimally develop their athletic skills. 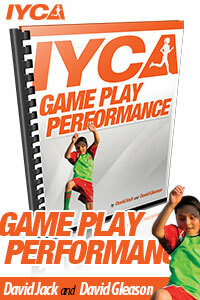 You can start infusing ‘play’ into your training with the IYCA’s New Game Play Performance. This is your complete inventory of fun, effective games, created by two of the World’s Leading Youth Fitness & Athletic Development Coaching, Dave Gleason and Dave Jack. Join Dave & Dave as they take you through the very same performance based games that they use with all of his athletes, from 6 year olds to professionals. 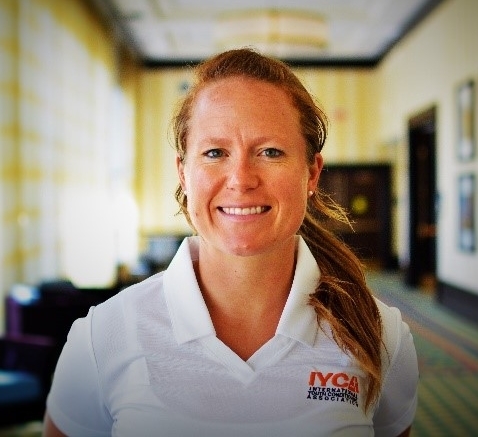 Dave Gleason is the Owner of one of the top youth training facilities in the world – Athletic Revolution Pembroke, and has worked with thousands of athletes ranging from the shy six year old to all-stars at the professionals level. He’s also an acclaimed international presenter on youth fitness and widely regarded as the industry’s ‘go to guy’ for coaching kids ages 6-13. Dave Jack is an Advisor to Reebok International, regular contributor and national advisor to Rodale Inc, Men’s Health, Women’s Health, Boston Celtics’ Captain Paul Pierce and his Truth on Health Foundation, Popular Speaker on Sports Performance, Fitness and Wellness and the founder of ActivPrayer as well as a coach to thousands of young people around the country. These two World Class Coaches have come together to bring you the IYCA’s Game Play Performance. …Giving you the tools to create and share effective game play activities. …you will soon be able to understand and utilize the concepts and philosophies contained in this product to build your own games. How to create complete athletes instead of athletes that merely perform well in the gym. It doesn’t matter what sport, gender or skill level you’re coaching. You will always find a need to add “Game Play Performance” to your training program once you’ve seen how powerful it us. All of Dave Gleason and Dave Jack’s athletes love it. So will yours. How much does Game Play Performance Cost? You get all of this for only $99.95. We insist you order “Game Play Performance” entirely at our risk. If you are not 100% thrilled with Game Play Performance, simply let us know and will refund your entire purchase price for up to a full year – that’s 365 days. With the promise of a full refund if you’re not satisfied, there is absolutely NO RISK on your part. Simply put, Game Play Performance is a hands down, no ifs-ands-or-buts, must have resource for any coach or trainer who coaches young athletes. There is no debate, your athletes must be powerful and explosive if they expect to develop their athletic ability to its full potential. Regardless of age, gender or sport, the Game Play Performance approach WILL make your athletes better. is the foundation of power training for young athletes. Start making your training sessions better now and grab Game Play Performance today! P.S. – If you are not 100% thrilled with Game Play Performance, simply let us know and we will refund your entire purchase price for up to a full year – that’s 365 days. With the promise of a full refund if you’re not satisfied, there is absolutely NO RISK on your part.